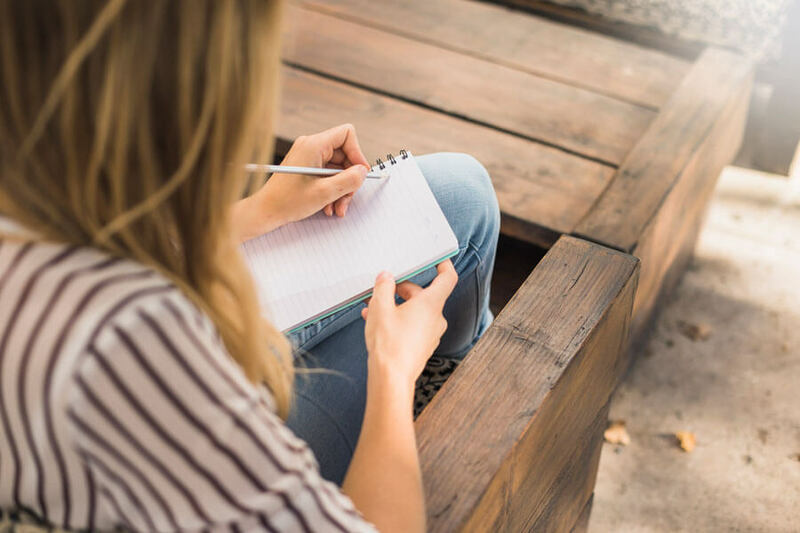 A personal reference which is also called a character reference, is a letter that is provided by an individual that knows you on a personal level and can vouch for your character and capabilities. When applying for a job, you may be asked for some form of reference. 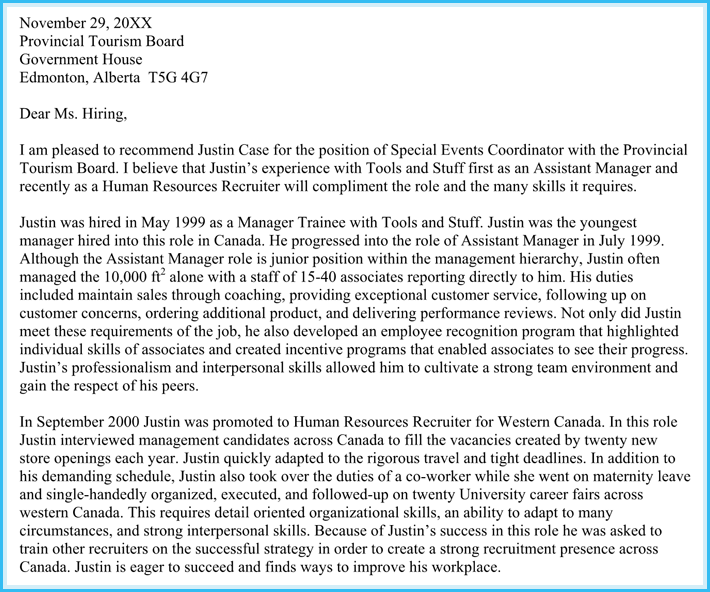 Depending on the nature of the job, a personal reference may be of tremendous benefit in your application process. When Are Personal Reference Required? What is the Difference Between a Personal and a Professional Reference ? 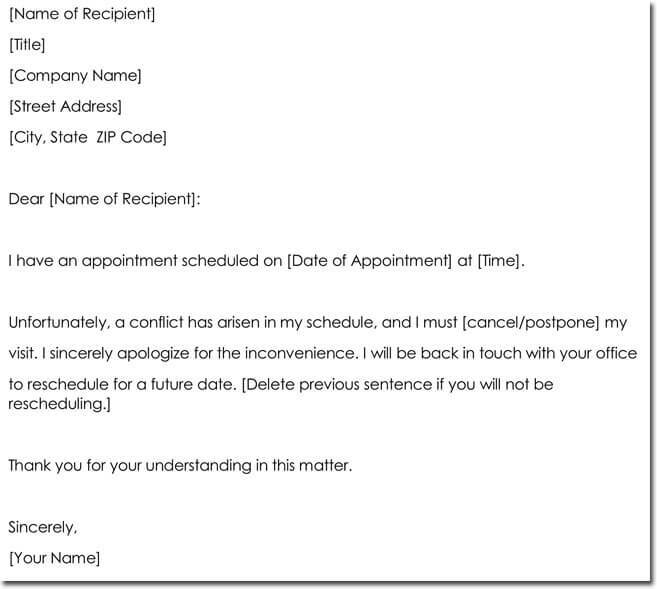 Whom Should You Ask for a Personal Reference Letter? 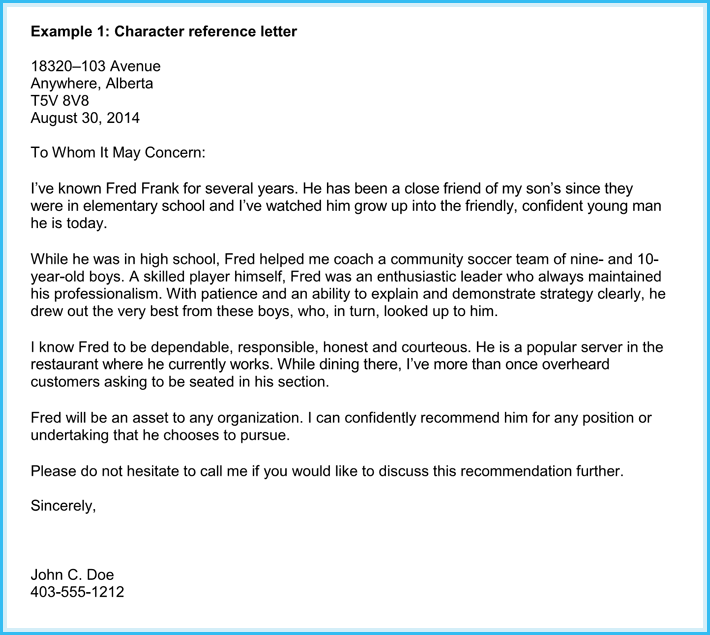 Personal reference letters are requested from people who know a candidate outside of work on a very personal level and can attest to their character and abilities. 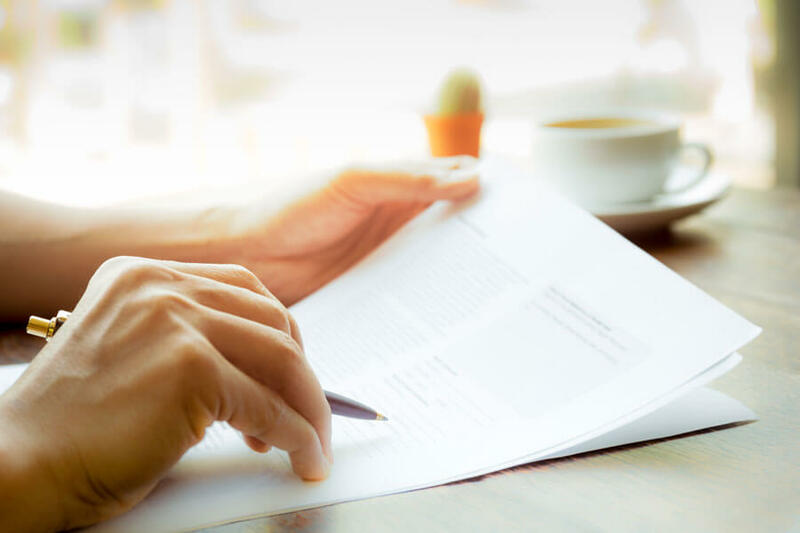 Usually, when you are applying for a job, you will most likely be required to present personal reference letter, and this occurs when seeking for higher positions like a managerial position. If you are a recent graduate or you are changing your career, you may be required to submit a character reference that will provide insight on your capabilities and work ethics, specific to the position you are applying for, that a former colleague or employer may be familiar with. 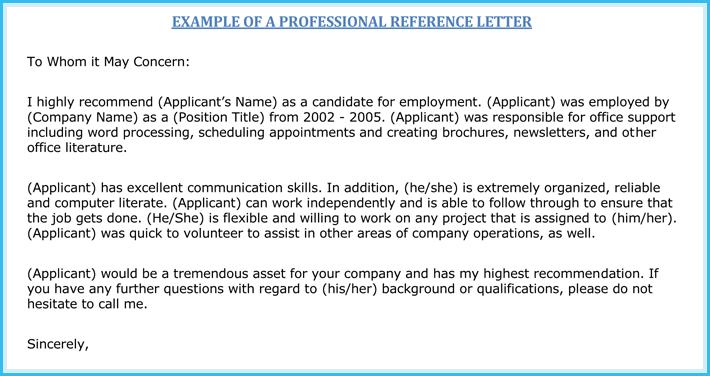 When applying for a job, make sure you pay close attention to the type references the employer is seeking for. 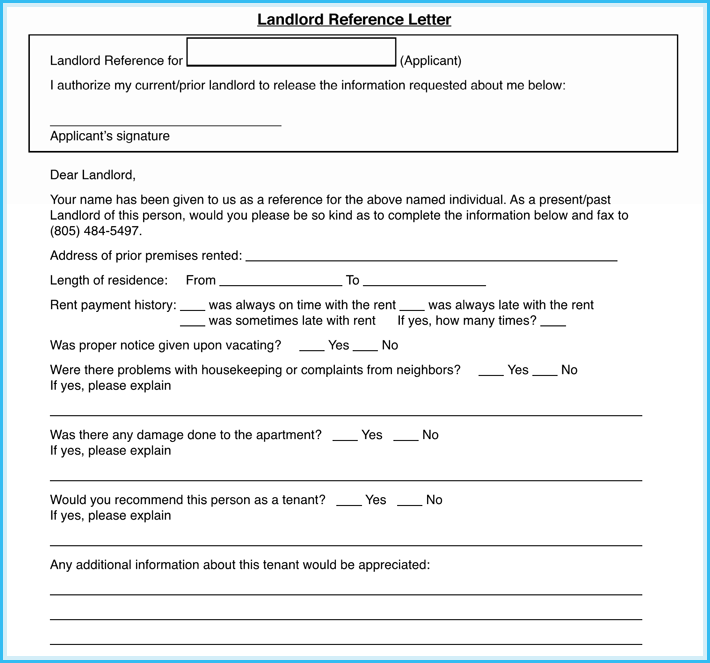 Be sure if it’s stated clearly that a professional or personal reference letter is required. Personal references are usually required for a major purchase like a house, for education (mainly postgraduate) related applications. For example, lawyers seeking admission to the bar are asked for a personal reference; also, personal letters are required by other professional associations and certification bodies. 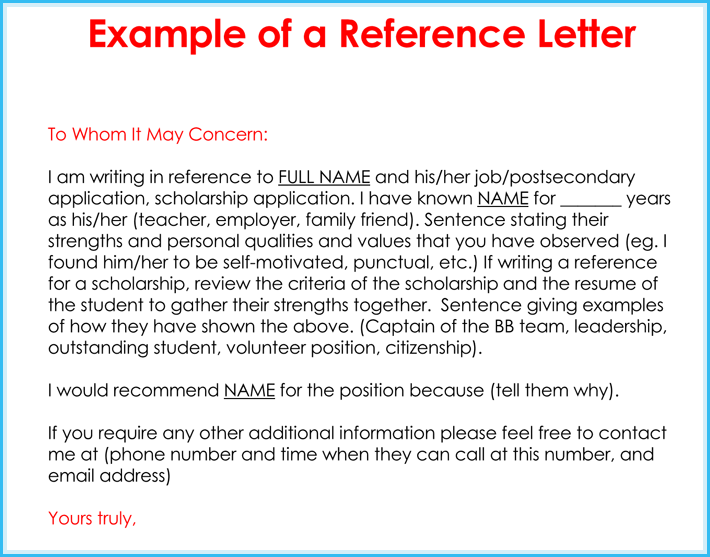 High school and college students with no work experience applying for jobs and volunteer positions, or scholarships, are asked for a character reference in place of a professional reference. These references can be got from a pastor, teacher, guidance counselor, or any adult that is familiar with the student’s personality and achievements. 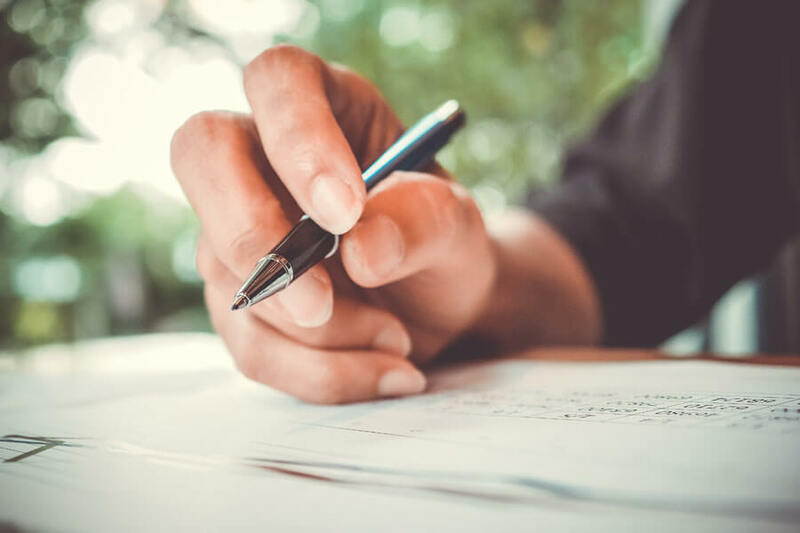 Just like in all other forms of recommendation letters, you should agree to write a personal reference letter only if you willing to write a positive and enthusiastic note about the person in question. 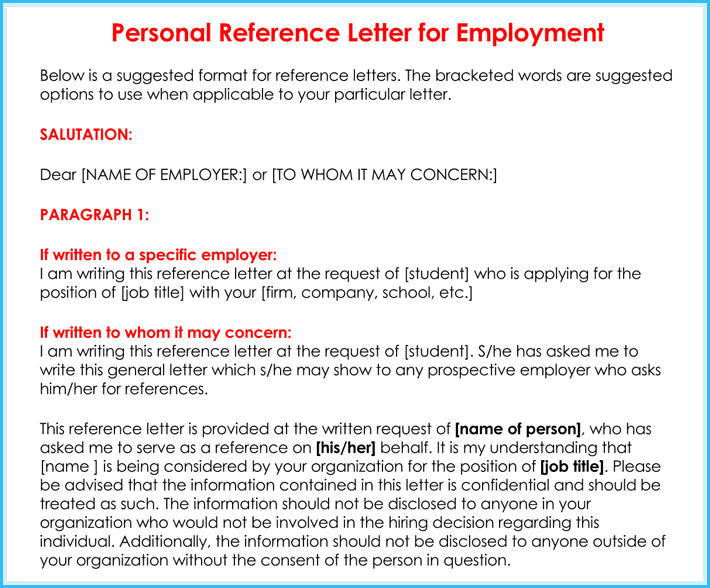 You must include in the letter, information on how you know the person. Also share details of the person’s morals and values, background and experiences as it’s relevant to the situation at hand. 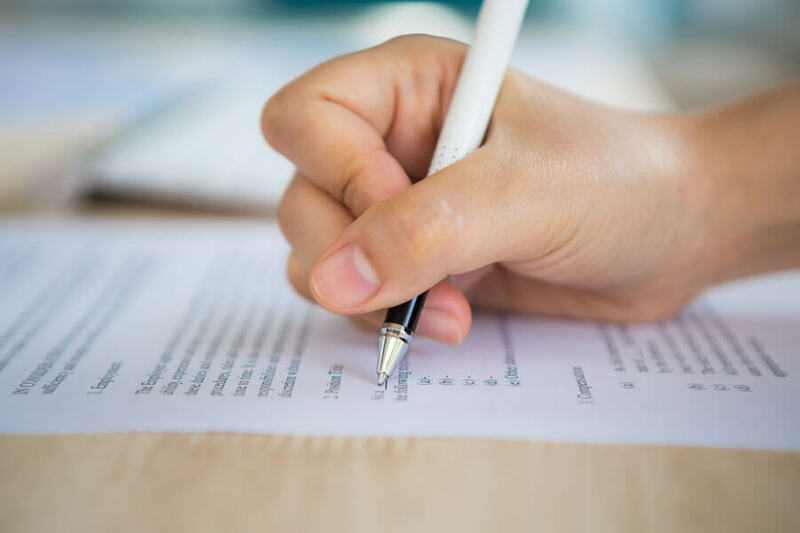 For example, if you are writing a reference letter for a student seeking a scholarship, you will need to emphasize on his or her academic abilities. 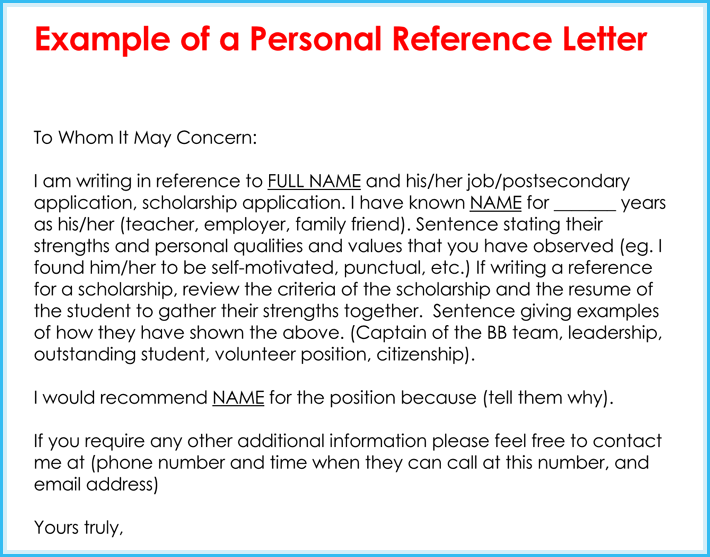 Another example is when writing a personal reference letter for someone seeking a sales job, you may want to emphasize the person’s personal charisma and “people’s skills”. Unlike a professional reference, a personal reference does not really need to come from someone you have worked with directly. A personal reference should come from someone who knows you well enough as to provide very good insight of your personality and character. The letter must include your relationship with the person and how long you’ve known each other. Always make sure that you are sure what is been asked for, whether it’s a professional or personal reference. 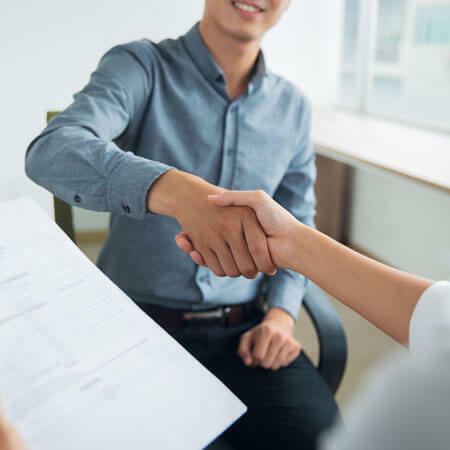 Generally, any person that can vouch for your ability to achieve, your ethics and your reliability, can give you a personal reference for an employment application or academic pursuit. 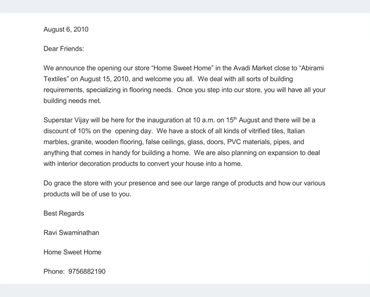 The range of people you can ask for a personal reference letter is wide- teachers, professors, religious workers, friends, coaches, business associates, neighbors etc. Remember not to ask family members or spouse to provide a personal reference. Make sure you don’t select a person who has limited knowledge of your person. 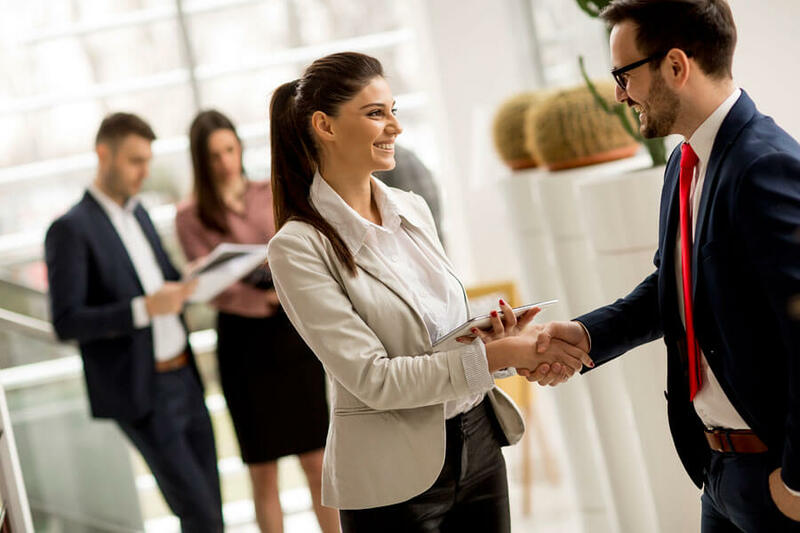 Your employer or admissions officer needs a comprehensive understanding of your personality and ability, and so you need someone who can give very specific and genuine testimonial about your character. A vague or very general description of your person will negatively affect your chances of getting a job or an admission. Make sure you contact the person you intend to use as a reference ahead of time, before giving out their information. You need to be sure if they are willing to provide you with a good personal reference. Send to them enough information about you, especially if you have not been in touch for awhile. 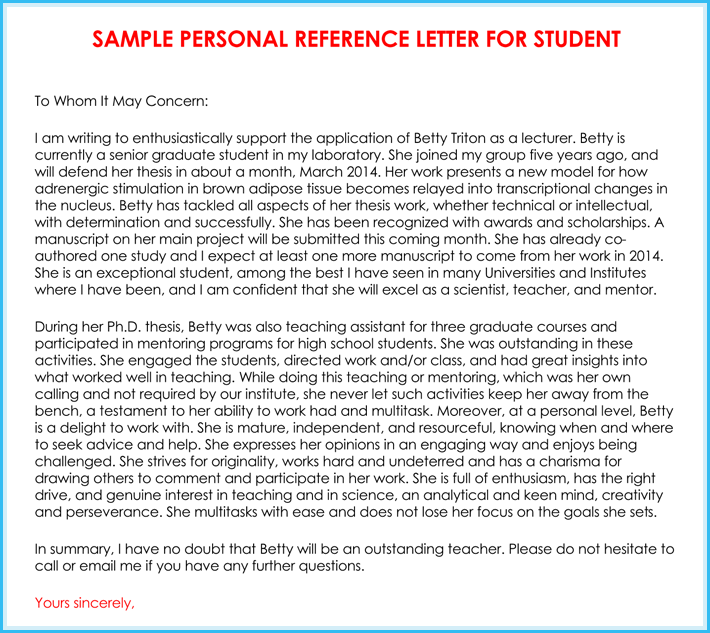 This enables the person to provide a very convincing personal reference letter. 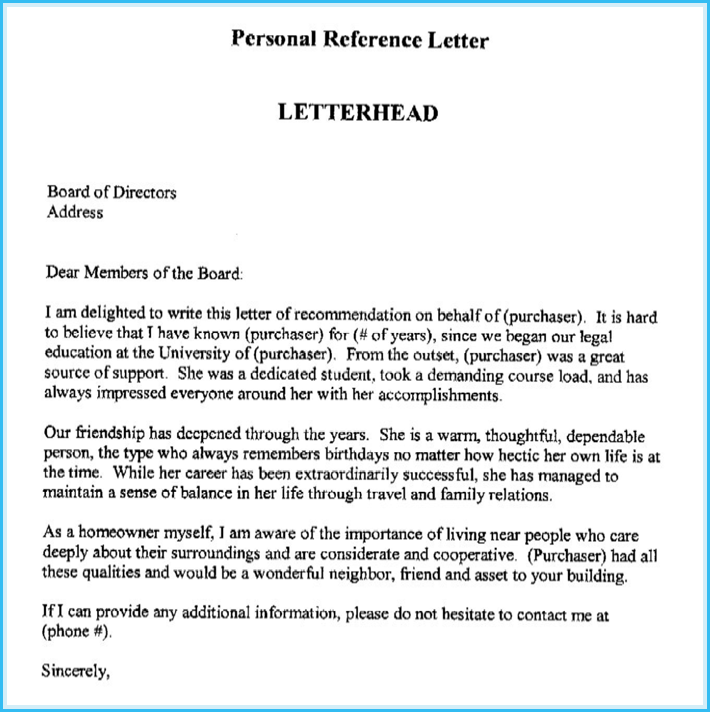 And always appreciate any person that provides you with a personal reference letter with an email or a call. You may need them in future. 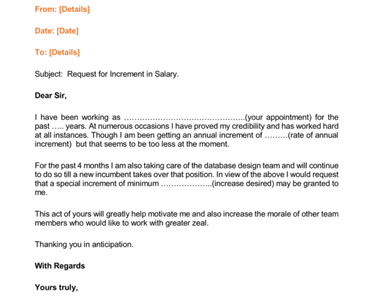 I am writing this letter to recommend Ken Jackson for a position in JP Morgan. I have known Ken since his elementary school days, and I think he is very qualified for a position in your bank. We started our banking careers almost at the same time and in the same bank And I know first hand, Ken’s abilities as a team player, a goal-getter and one with excellent “people skills”. He is a deeply religious person, and he actively participates in his church activities and also does volunteer work in his community. Ken would be a great asset to your bank. If you have any more questions about him, please do not hesitate to ask.